Dr. Swetha Antony is as an Assistant Professor in the Department of English, Faculty of Arts, University of Delhi. She is a generalist whose fingers are dipped in multiple fields of literature and humanities. She has a PhD in English Literature from The English and Foreign Languages University, Hyderabad. Her doctoral research work on the poetry of Kamala Das is broadly oriented towards postcolonial theory and literatures, with special focus on the language question and the theories of Cosmopolitanism. The poetics of exile as articulated by writers in the spectrum of New Literatures in English continues to fascinate her. She has forayed into the tantalizing area of food studies by co-editing with Elizabeth M. Schmidt the volume “Beyond the Superficial: Making Sense of Food in a Globalized World”, Oxford: Inter-Disciplinary Press, 2016. She is currently exploring the notion of third culture/third space in contemporary literature and popular culture by foraying into Film Studies, Sports Studies, and Environmental Humanities. Her ongoing research is on the larger impact of Portuguese colonialism and the origin and evolution of the Latin Catholic community in Kerala, which has led to her engagement with the relationship between art, literature and environment. She is currently exploring the concept of tiNai to understand the presence of geographical spaces in the literary, cultural and performative traditions of the coastal belt of South India. 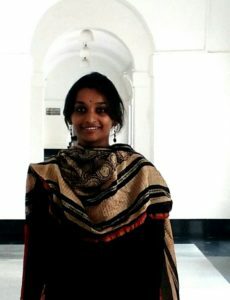 She is also one of the Executive Council Members of FSLE-India, an International Socio-Ecoliterary Organization, working in the field of Ecocriticism.